Genres mutate, disappear, travel through translation and sometimes re-emerge. Traditionally viewed as a classificatory device, the idea of genre has been challenged by anti-genre theoreticians who question the possibility of reading texts merely through a typological framework. The essays in this volume contribute to a transcultural poetics through an engagement with genre, viewing it as neither normative nor inflexible. They investigate historically established genres; genres that transgress conventions as they move between different art forms and cultures; and genres that, whilst seeming to respond to reader expectations, expand and create new communicative spaces. The volume includes not only theoretical considerations of the boundaries and scope of genre but also case studies of science fiction, poetry, aphorism, immigrant writing, filmic adaptation and the role of translation in genre. 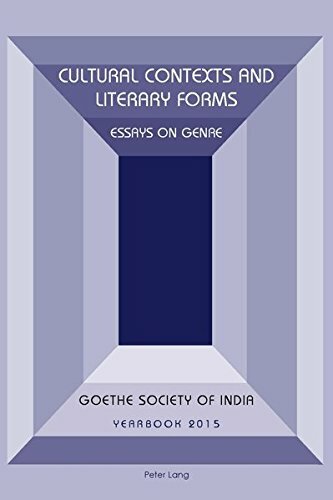 This volume is the 2015 Yearbook of the Goethe Society of India.